A jade roller is a beauty tool used by Chinese women of royal blood way back in the seventh century. Jade is believed to have protective qualities, thus, it is a popular stone until today. The concept and mechanism of the jade roller is basic: an oblong stone is attached to a metal handle and it used to massage the face. You may think it’s too simple, but many models and celebrities have already incorporated the jade roller into their beauty rituals. So it’s time to catch up with this celebrity beauty product. What are the benefits of using a Jade Roller? Aside from giving you a selfie-worthy glow, there are many jade roller benefits that will definitely help you get that gorgeous, model-like complexion. The jade roller reduces inflammation and puffiness. The gentle, repetitive massage-like movements done while using it promote lymphatic drainage. Thus, puffiness and inflammation are reduced. It also tightens pores. If you put the jade roller in your fridge a few moments before you use it, it will help tighten pores. Add that to the fact that jade is naturally cool to the touch, and you get the perfect solution to tighten your pores. It helps reduce fine lines and dark under-eye circles. This is also related to lymphatic drainage. Last but not least, it helps in the absorption of skin care products. Models usually use the jade roller after applying skin care products to help the skin absorb them better. How do you use a jade roller? Adding this product to your skin care routine is very easy. Here are some tips you can do to maximize your jade roller: Start massaging at the center of your face, under your cheeks and towards your hairline. Then, move down towards your jawbone starting from your chin, towards your ears. Lastly, it is best to finish with the sides of the neck towards the center of the clavicle. Do this for around two to three minutes. We highly recommend that you apply your moisturizer before using the jade roller. 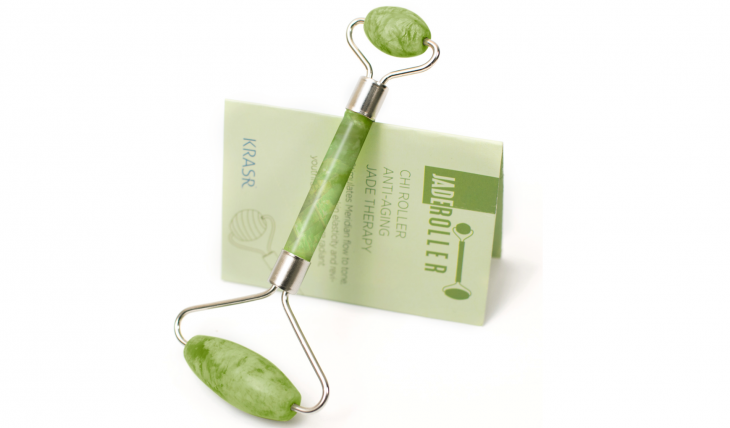 The jade roller will help skincare products penetrate your skin better. Relax, and enjoy the massage. To make the most out of jade roller benefits, you must incorporate it to your regular skin care rituals. A good skin care routine will help you achieve a healthy glow that will definitely catch your crush’s eyes. Be confident in your skin, take that selfie, and don’t hesitate to smile. You’ll get them on their knees in no time! What beauty reasons do you want to use the jade roller for? Comment below!